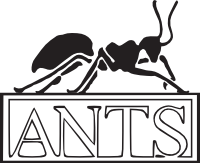 The 12th Algorithmic Number Theory Symposium (ANTS XII) will be held in Kaiserslautern, Germany during August 29 – September 2, 2016. Papers presenting original research in the area(s) of algorithmic number theory are sought and interested authors are encouraged to submit full length research articles. Similar to ANTS XI, we intend to publish the proceedings as a special issue of the LMS Journal of Computation and Mathematics, which will be available in advance of the conference. In keeping with the high standard of the ANTS proceedings, every paper will be carefully reviewed and only those papers of very high quality will be accepted for publication. February 8 February 22, 2016, 08:00 CET. The remainder of the submission schedule is as follows. Apart from a positive feedback from the referees, the following requirements must be met in order for a paper to be published. At least one author must present the paper at the conference. The total length of papers may not exceed 14 pages, including references. Extensive tables, long algorithms or computer code can be added as an appendix. Use of the (unmodified) LMS class file available here: https://www.lms.ac.uk/publications/au-instructions#lmscls or here. Meet the conditions for acceptance of LMS Journal of Computation and Mathematics, see https://www.lms.ac.uk/publications/jcm-submit, in particular see https://www.lms.ac.uk/sites/lms.ac.uk/files/Publications/JCM_licence.pdf.